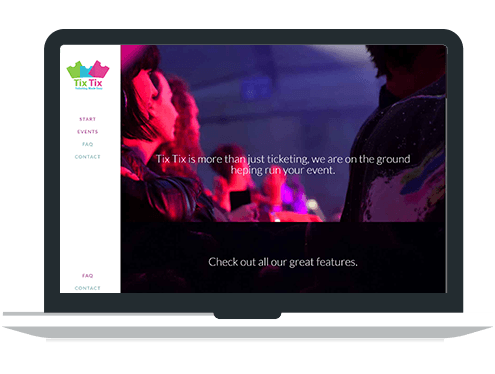 Insight Design Studio created it’s very own ticketing platform – Tix Tix. 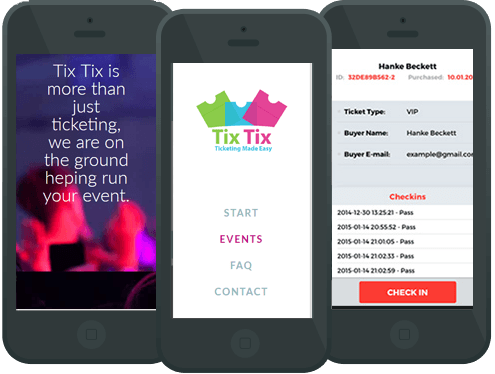 Tix Tix is an event ticketing solution that includes Mobile Apps, Bar-code readers, Offline check-in and over 100 payment gateways. No smartphone? No problems. Barcode readers improve the whole check-in process. Our ticketing system now works offline. Perfect for checking in on larger events or even when your event is out in the sticks.